Hello to all of the beautiful readers of In Whirl of Inspiration! My name is Kitty and I blog over at Kitty & Buck. I am so happy to have been invited to guest post on Debbie's lovely blog! I am going to share some secrets about Sydney, Australia (my home town). 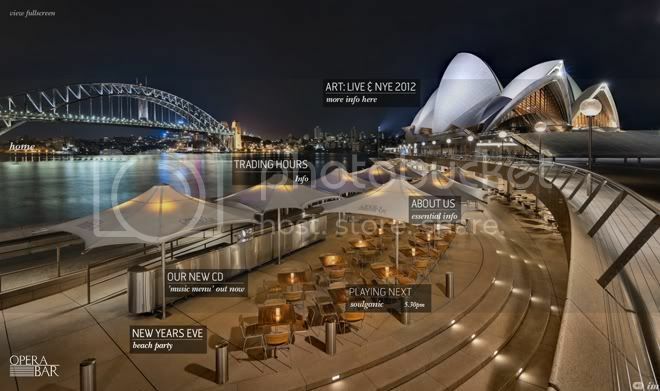 I imagine you all know about the Harbour, Bondi Beach and the Opera House! But today I'm going to share some of the local secrets! I hope you enjoy my insider's guide to Sydney! All photos are sourced online, and credited back to the original source. I am so lucky to live in a country with so much natural beauty. I know many people think of the 'outback' and the beaches, but we have so much in between! There are mountains with skiing, rainforests, deserts, coral reefs and pine forests. Here are a few activities that I love to do outdoors in Sydney. 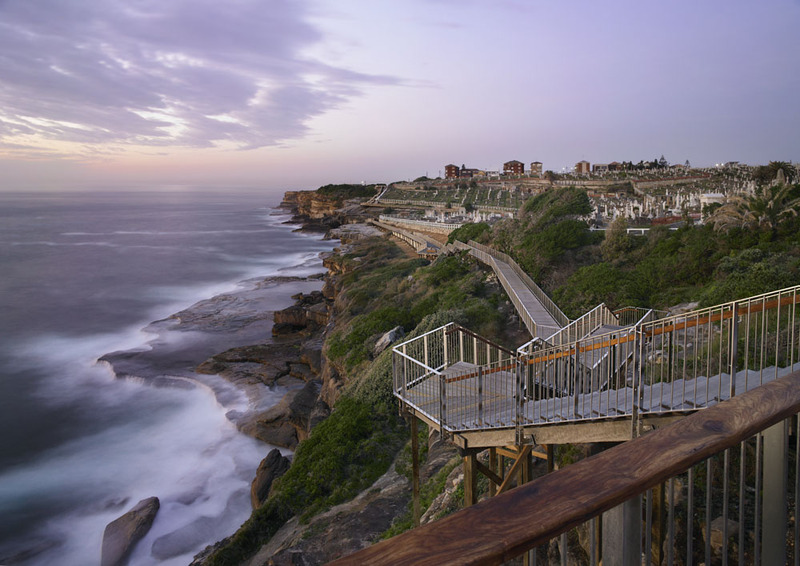 The Bondi to Bronte coast walk is a chance to meander along the coastline of Sydney in the Eastern Suburbs and take in the beautiful beaches and parks. You can pack a picnic lunch and stop anywhere along the way for some rest and foodie indulgence. The Royal National Park is the second oldest National Park in the world, after Yellowstone National Park. I am so lucky to live so close! I spend a lot of time walking through here. If you want to have an easy picnic, Audley is a very popular location inside the park. It has a kiosk that is newly renovated and offers cafe food as well as high tea. Or you can pack lunch and cook a BBQ or just have a picnic. 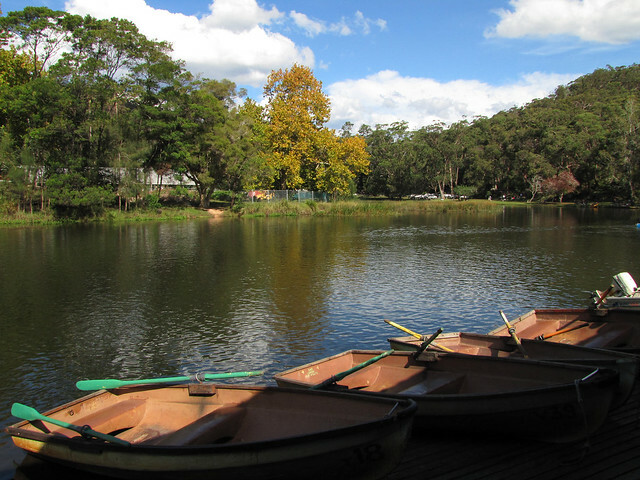 Aside from relaxing on the picnic rug, you can also hire a rowboat (or kayak) and paddle down the river. I spent many weekends as a small child picnicking down here. Inside the park there are also many beaches, my favourites are Burning Palms, Wattamolla and Garie beach. I also really enjoy heading to the town of Bundeena. You can catch a ferry here from Cronulla. Bundeena used to be a holiday area, but now many of it's residents are artists. You can walk along the cliffs towards Marley Head and watch whales migrating, it is spectacular! Nielsen Park, in Vaucluse. There is a great walk to this beach from Rose Bay - it goes past lots of little hidden, secret beaches in rich peoples backyards! Redleaf Pool and Blackburn Gardens above the pool (which is not a pool, but a harbour beach enclosed in a net) is a perfect spot for a picnic. Mrs Macquaries Chair and The Royal Botanic Gardens. You can attend the Aboriginal food and plants talk there, which is supposed to be absolutely fascinating. (on my to-do list!) The little train is fun to catch too. They also have a fancy restaurant in the middle, if you're too lazy to prepare a picnic! Sydney is finally catching up to Melbourne with the introduction of a small liquor license, which means there are a lot of small independent bars opening. Because this is a fairly new movement in Sydney, the list of bars and restaurants changes very quickly! I won't write too many as there'll be something new and interesting next week, it changes too quickly! There are a few places that are always around though. Opera Bar, Circular Quay. This IS touristy, but I'm not sure you can resist the possibility of having a meal on the edge of Sydney Harbour, sitting underneath the Opera House forecourt, looking over to the Harbour Bridge and Luna Park. It is very beautiful at night time with all of the lights on the Harbor. I like to go there in the afternoon, before seeing a show at the Opera House, and before the crowds and DJs settle in. But if you like crowds and DJs, head there on a Friday or Saturday night! Le Kiosk at Manly is located on Shelley Beach, which is a secluded beach off the main drag in Manly. The restaurant has prime beach front position and it perfect for a special occasion! A bonus tip: Catch the ferry to Manly from Circular Quay. It travels through Sydney Harbour, past the Harbour Bridge and Opera House, then through to Manly. The view is amazing from the ferry, and good for catching some photographs. When you get off the ferry, walk through the street mall, and when you reach Manly Beach, turn right and walk all the way along the promenade, then along Fairy Bower walk, to reach Shelly Beach where Le Kiosk is located. There are many other beautiful places to eat and drink! Indulge in High Tea at The Victoria Room in Darlinghurst, it is beautifully furnished and a real treat! Thanks for reading, I hope I've been able to share a side of Sydney that you didn't know about. I still have so many places to share with you, but I'll save those for another time! Thanks so much for having me Debbie! I have a serious crush on Australia, so this was the best guest post I could ever ask about. And maybe there will be a Australia-I-love-you-guest post part II. Who knows?